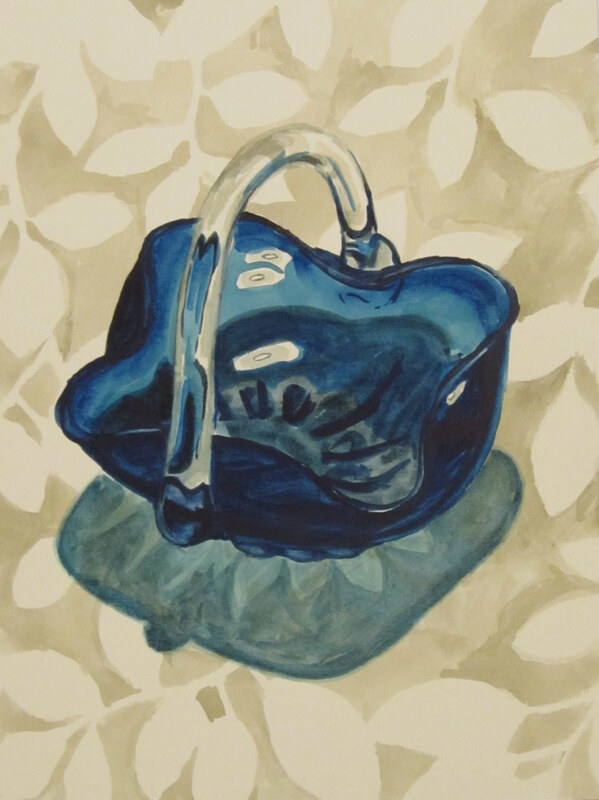 Watercolour Wednesday — Grandma’s candy dish. I painted this dish twice for this post. A very difficult object to paint. I think I will have to do some more paintings of it. I have noticed that when my four-year-old paints with watercolour, she uses a lot of paint and very little water and makes absolutely gorgeous vibrant paintings. I am taking my cue from her a bit with trying to use more paint and less water. Who says watercolours need to be wishy-washy anyway. 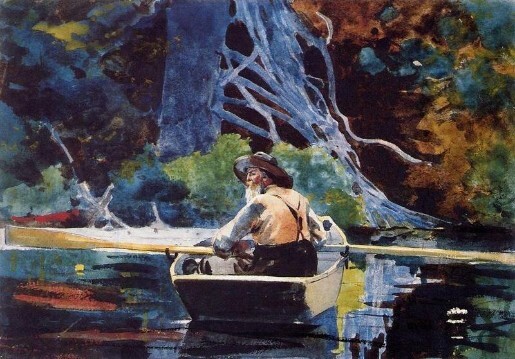 I’ve also been reading up on some of the history of watercolour painting and have been a bit surprised by all the big-name artists who also did watercolours. It’s changing my whole prejudice against the medium. The first two paintings that I saw that really tweaked my interest were in a book that a co-worker gave me. 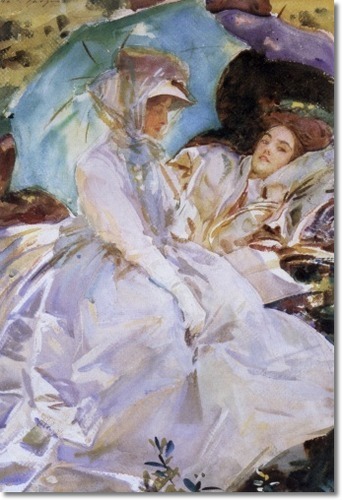 The first painting was one by Winslow Homer and the second was one by John Singer Sargent. I was struck by the rich colours of the Homer one and by how differently Sargent used the medium, ending up with a sketch that looks so completely like his painting style. It seems that the deeper and deeper I get into watercolour painting, the more I like it and see it as a “serious” medium. Fabulous Post Dayna! As always, I like your watercolours no matter what you do, but this one is interesting in that it does look more intense and I can feel the weight of the dish just by those deeper colours you chose. Nice to see the other watercolours as a good example. Thanks Marie, it was a very difficult blue to do in watercolour, but now I want to do more of it. oooooh….as always, I love your reflection pieces! I also love the vibrancy of the colours here, looks awesome!! Thanks Pickle :) I’ve been eyeing this bowl for a while now with the intention of painting it. Very cool Dayna, I love how the glass dish, looks like glass. I don’t know much about art of course, but I imagine that would be difficult. As always I love your work! Thanks Kelly :) The first painting I did of this dish did not look so much like glass.